About Us — Leticia's First Class Cleaning Inc.
Hello, my name is Leticia Gomez, I am the proud Owner and operator of Leticia's First Class Cleaning Inc. Born in Oxnard, CA; I spent the majority of my childhood in Mexico. As a young adult I wanted to return home to pursue my vision of the "American Dream." I came back to U.S. in 1987 as a 21-year-old and settled in beautiful Paso Robles. Paso Robles has since been home to me and my family. After being employed for the better part of 12 years, I decided to take a risk and follow my dream (as so many other American Entrepreneurs have done before me) thereby starting my own business. I felt my work ethic and determination in providing the business community with glowing service would better be showcased under my own supervision and management. Since then I have obtain my AA degree and certification in both Business Management and Customer Services from Local Central Coast colleges. Leticia's First Class Cleaning Inc. has been family owned and operated since 1998. The same care is endowed towards our customer's homes and businesses that would be provided as if it was our own home or business we are servicing. I personally train each individual employee to ensure he/she is not just cleaning but providing a service with great attention to detail and 100% customer satisfaction. Our attention to our clientele’s needs and our outstanding performance is one of the many reasons we currently service over 85 homes and business on the Central Coast, we look forward to expanding our services to many more. Leticia’s First Class Cleaning Inc. is dedicated to providing thorough efficient cleaning services. You name it, we clean it! Our professional team has been servicing the Central Coast since 1998 and we take pride in using eco friendly cleaning products. 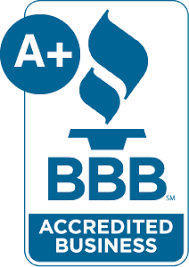 As a Better Business Bureau® A+ Accredited Business, we are committed in providing prompt, efficient, and friendly cleaning services. We are equipped with the right tools to service residential homes, businesses, vacation rentals, and can tackle any cleaning job.